Hot on the heals of Cobra Golf just recently releasing the King LTD Driver I'm intrigued by another anouncement of more drivers to be offered. The F6 and F6+ look pretty fun and I'm really looking forward to the Grey Turbulence with Gecko Green accents (the Grey& Green colorway will be introduced March 15, 2016) and of course stay tuned for any in hand pics and reviews. 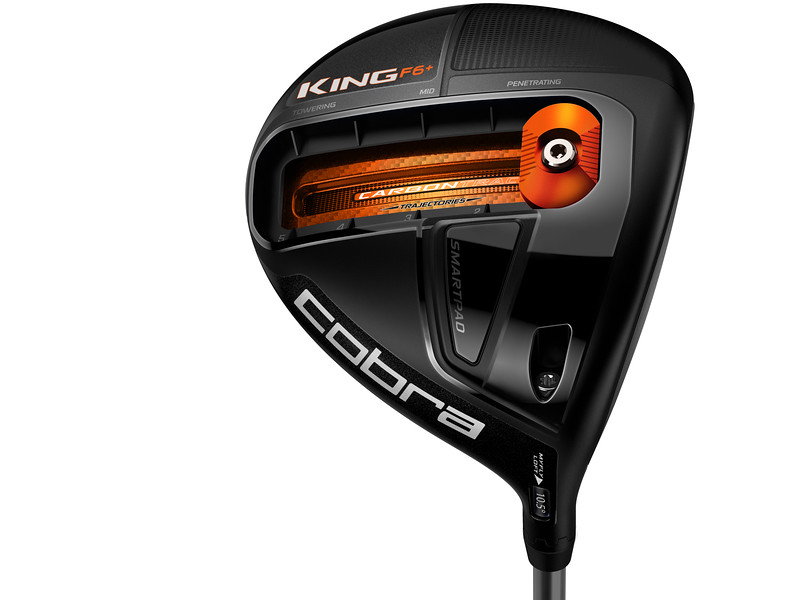 Carlsbad, Calif. (November 17, 2015) – Cobra Golf, a leader in golf club innovationand technology, today introduced the KING F6+ and F6 family of products, continuing toexpand the collection of clubs under the legendary KING brand name. Throughinnovative research, premium materials, and COBRA’s unique performance enhancingtechnologies, personalized distance and adjustable center of gravity (CG) is nowavailable to golfers of all levels. To give golfers the ultimate in distance, control, speed and accuracy, the KING F6+driver (MSRP $529) integrates an all-new, revolutionary CarbonTrac weighting system.The system features a sliding weight with five front-to-back, low CG positions that isencased in a carbon fiber shell. It replaces the heavier, titanium track structure that wasused in the high-performance Fly-Z+ driver. 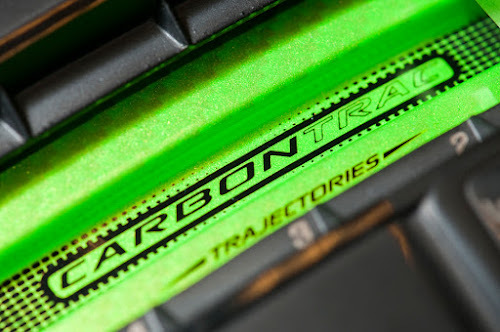 By creating additional discretionary weightthrough the use of a carbon fiber crown, new Ti 811 titanium body and forged face,COBRA was able to utilize an 18-gram weight on the sole of the driver to deliver ultra-low CGs and ball flights ranging from towering to penetrating for personalized distanceand forgiveness off the tee. 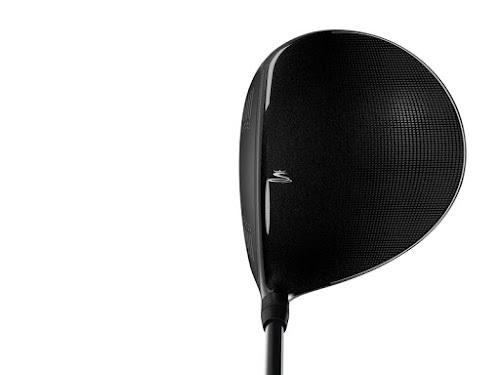 The F6+ driver also features Forged E9 Zone Face technology, an internal feature thatremoves weight from key areas behind the face and in the hosel to increase the size andspeed of the Sweet Zone for more distance on off-center hits. Externally, the visibleSpeed Channel technology, an engineered trench around the perimeter of the face andtoe area, creates additional discretionary weight to minimize face thickness, deliveringfaster ball speeds for even more distance. The KING F6 Driver (MSRP $449) features a dual position front-to-back CG systemwith 10-and 3-gram flip weights. This system delivers the ultimate blend of distance andextreme forgiveness, and promote faster ball speeds, lower spin and optimal launchangles. With the heavier weight in the front CG position you’ll see a penetrating ballflight with less spin that delivers more roll for maximum distance; while the back CGweight position delivers a towering ball flight with added spin to create more carry andincreased forgiveness. For an increased range of performance, the light 3-gram weightcan be removed all together, offering a third option to maximize CG movement and spindifferential. The KING F6+ Driver is available in four stock colors: Glass Black with Vibrant Orangeaccents; Blue Aster; White Pearl; Grey Turbulence with Gecko Green accents (the Grey& Green colorway will be introduced March 15, 2016). The driver can be orderedthrough custom in Vibrant Orange. Available in right-handed and left-handed models, inregular, stiff and x-stiff flex, the driver features a graphite Matrix OZIK Black Tie 65gshaft and Lamkin 3GEN Crossline 360 grip. The F6+ driver comes with a range of fivelofts – 9°, 9.5°, 10.5°, 11.5°, and 12° and three draw settings – 9.5°D, 10.5°D and11.5°D, available in-store January 15, 2016. Additionally, the F6+ is also offered in aPro model which features the same size head (460cc) as the F6+, but with a lower loftrange (7.0°-10°), a flatter lie angle and fade settings instead of draw. All that works toprovide more launch control and lower spin for even more penetrating trajectory range.It comes in black only, through custom orders. The KING F6 Driver is available in the same four colors as the F6+ (Black, White, Blueand Gray) in RH/LH in Lite, Regular, Stiff and X-Stiff flexes, and comes with a graphite,Matrix OZIK Red Tie 65Q4 shaft and Lamkin REL 360 grip. Available in-store January 15,2016. MyFly8 Loft Range: 9°, 9.5°, 9.5°D, 10.5°, 10.5°D, 11.5°, 11.5°D, and 12°. The KING F6 Family also includes a collection of Fairway Woods (3-4F, 5-6F and 7-8F)also with adjustable front-to-back weighting. Each fairway, like the F6 driver, featurestwo CG positions and 20-gram and 3-gram moveable weights. Additionally, to maximizedistance and ball speed, engineers used a 475 SS face insert combined with COBRA’sSpeed Channel Technology. MyFly8 combined with SmartPad delivers eight loft positionsto fine-tune your long game. Available in black and blue in RH/LH, the F6 Fairways(MSRP $299) come with a Matrix OZIK Red 65Q4 shaft in Lite, R, S and X, and a LamkinREL 360 grip. Available in store January 15, 2016. Like the driver, a Grey Turbulencewith Gecko Green accents model will be available March 15. Rounding out the metalwood collection are the KING F6 Hybrids (MSRP $259). Eachclub (2-3H, 3-4H and 4-5H) in RH/LH features a fixed 13-gram back CG weight to deliverhigh MOI and a more center CG for both forgiveness and precision shot after shot. Thenew head shape is 3-grams lighter than previous models and touts a thin 455 SS facealong with Speed Channel technology for maximum ball speed. 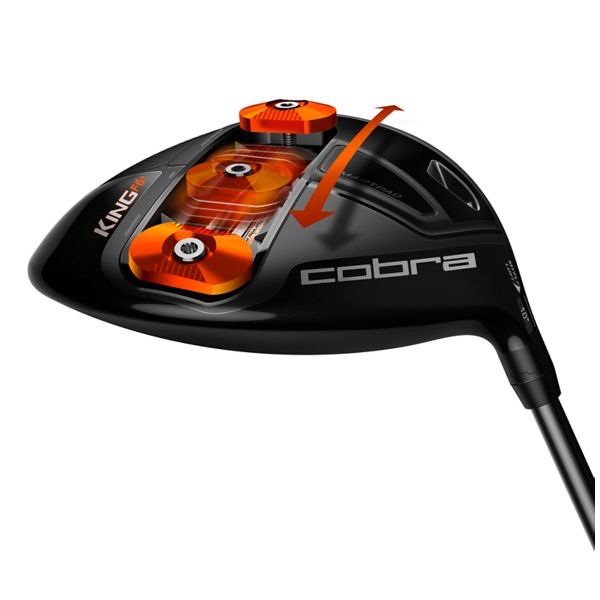 The hybrids also featureCOBRA’s MyFly8 with SmartPad technologies, and come in Black only, with a MATRIXOZIK Red Tie 75Q4 shaft and a Lamkin REL 360 grip. Available January 15, 2016.
lengths and lighter swing weights. The women’s driver and fairway feature lofts (Range:10°, 10.5°, 10.5°D, 11.5°, 11.5°D, 12.5°, 12.5°D, and 13°) that are designed around awomen’s swing speed to create optimized launch and spin and ultimately maximumdistance. All women’s F6 metalwoods are also available at retail January 15.